Climate change is one of the defining environmental challenges of our time. More than ever before, Canadians are taking part in climate action. Increasing awareness and action on climate change helps Canadians lead more affordable, cleaner and healthier lives while protecting our environment. 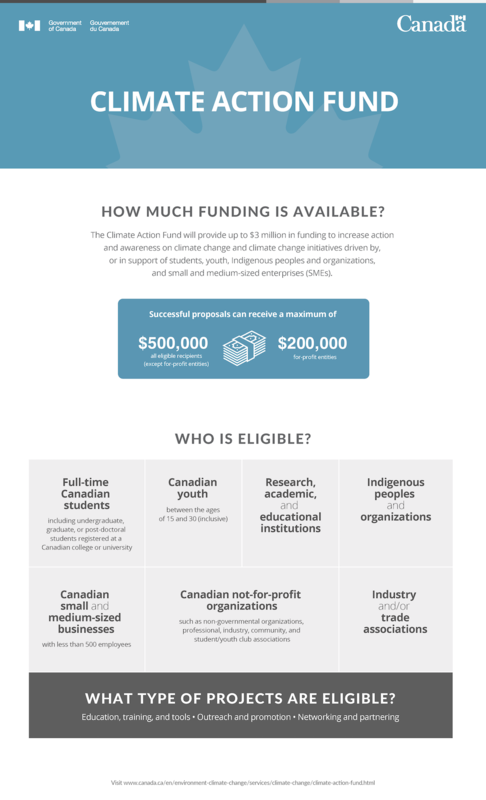 The Climate Action Fund (CAF) supports climate actions in communities across Canada. It seeks to increase awareness and participation in climate action among Canadians, especially youth, students, Indigenous Peoples and organizations, and small and medium businesses.